If you live in a house without a car park, you know the slight inconvenience of having to park on the street, or having to find a car space close to your home during busy times. No one should have to walk a street away from their home for a spot, particularly if they have space on their property for a driveway, carport or garage. While carports and garages are ideal, they typically cost a bit and may not be possible on your land. The good news is that you can still get a secure park at an affordable cost by building a concrete driveway. Simple driveways made of cement are sturdy, aesthetic, and cost a fraction of the price to that of garages and carports. 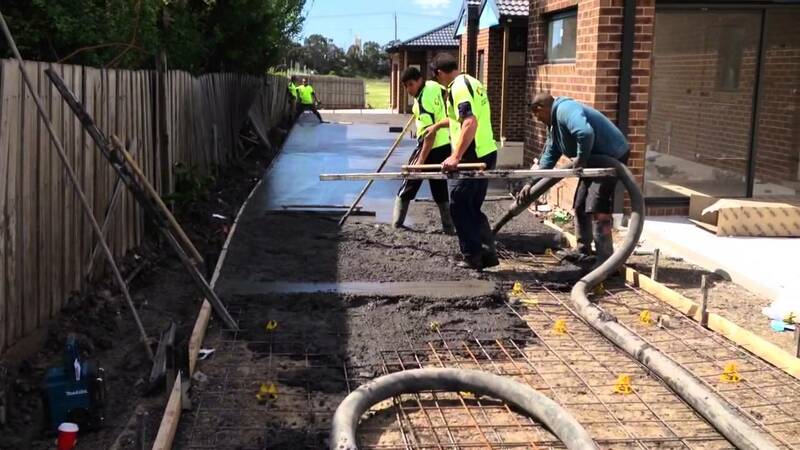 Building a concrete driveway is a sure-fire cure for Aussies who want a place to plant their boat, somewhere to plant an unregistered vehicle, or anyone who likes the idea of a dedicated car park at home. If this sounds like you, then building a concrete driveway is the affordable parking solution you’ve been searching for. A simple cement driveway offers residents an affordable and sturdy alternative to expensive residential parking options like a garage or a carport. You might not even need it for a your car, rather you might need a driveway to plant your boat. Unlike garages and carports, you won’t need to seek out a development approval from a private building certifier, though you may still need approval from your local Council. Parking regularly for long periods on public streets adds exposure risk to your car, where your car is at risk of being side-swiped or damaged by passing pedestrians. Coincidentally, the manner in which you park or store your car can also affect your car insurance rate, depending on your insurer, where parking on a designated driveway or garage could reduce your bill. With all this in mind, we’ve compiled a basic step-by-step guide, along with a few tips and tricks to help you visualise, plan, and tackle a DIY driveway project. How to build a concrete driveway? Are you building a 1 car or 2 car driveway? Will the driveway be a shared driveway between you and your neighbour? 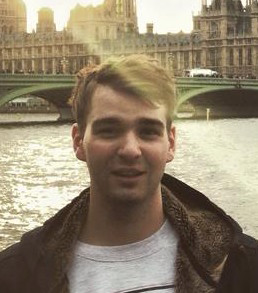 - if so, how will you share the responsibility for design plans and costs? Before you progress any further it is critical that you contact your State’s Dial Before You Dig (DBYD) service. 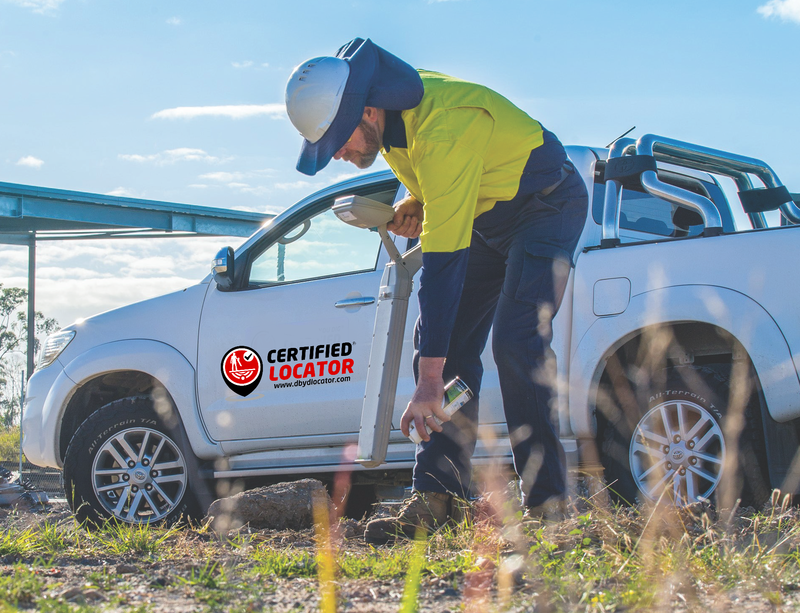 DBYD is an accredited not-for-profit safety initiative that assists builders and homeowners across Australia in identifying underground utility lines that may prevent construction and excavation plans. This will enable you to locate any shallow utility lines running in the construction area. If there are lines inhibiting construction you may be able to make arrangements to re-position/move certain lines, DBYD can offer more information on this. Undertake research on your property, inspect land blueprints, understand where your land boundary is and mark, with spray paint, the location (supplied by DBYD) of any submerged utility cables around the project area. Place wooden stakes and set up string to mark the driveway area. Excavate topsoil, using either a shovel or an excavator machine, and level out the construction area (as marked out in step 4). You’ll generally want to excavate around 250mm down from ground level. 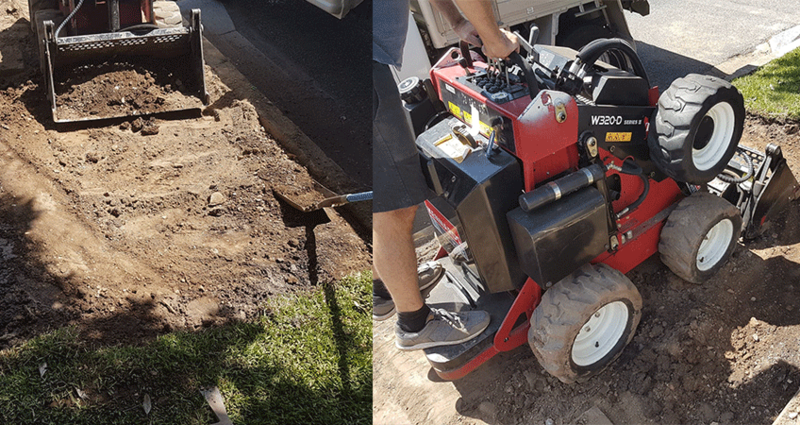 You typically won’t need anything larger than a dingo or mini excavator for a residential driveway job like this, however if you’re working on a larger driveway with more digging required you may need a larger machine, like a 5 to 7 tonne track-mounted excavator. To save even more time, you can use our extensive machinery hire directory HERE to find the perfect machine for your project! 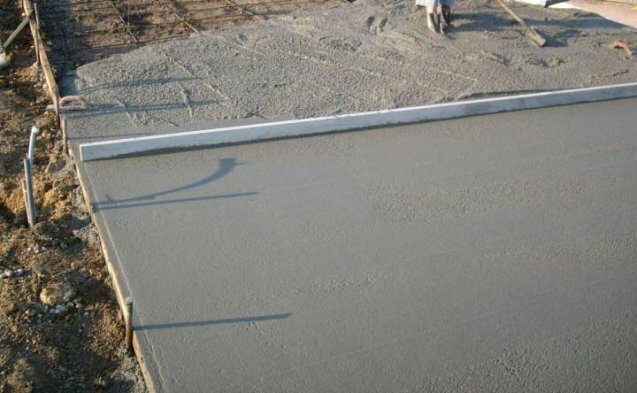 This step will see you lay forms around the project area, this will ensure that when pouring concrete it doesn’t spill outside the project and fills the correct area. Ensure your forms are straight and well secured. Add in filler like sand to firm up the base, and add a thin layer of gravel to ensure base thickness. Typically this needs to be 4 to 10 inches depending on soil conditions. Use a small plate compactor across the project area and then dampen the surface once more. 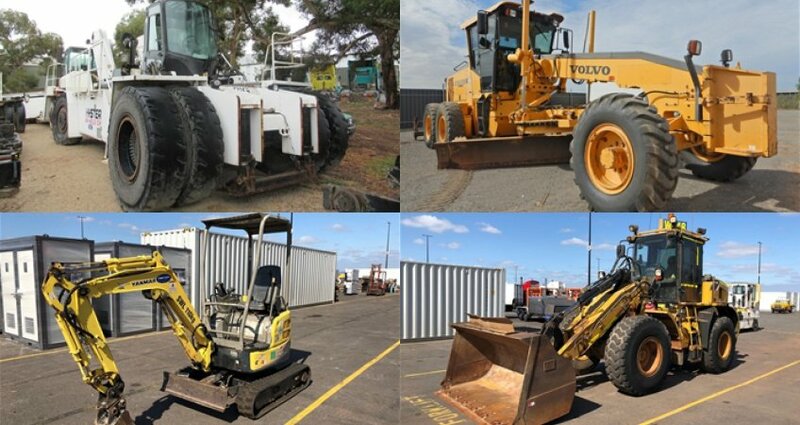 You can find plate compactors, of all sizes, for rent across Australia here. 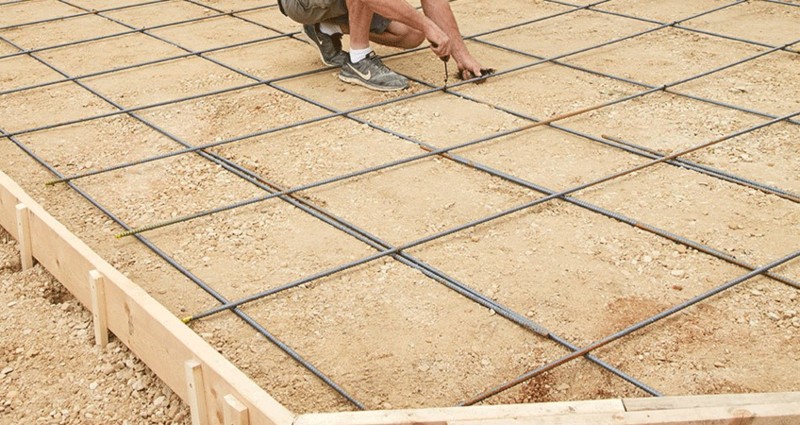 Reinforce your foundation with reinforcing mesh or rebar (grid pattern) that covers the surface. 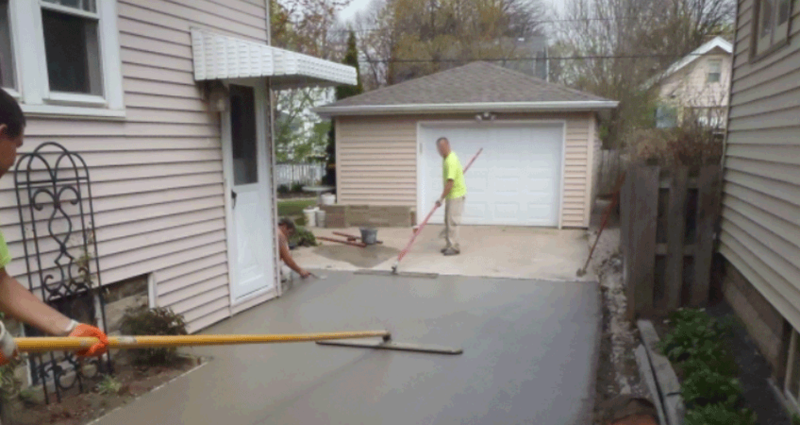 This step is critical in strengthening your driveway. Pour concrete against the forms and spread it out evenly across the project area. This stage can be done with the use of a skid steer with front bucket, a tractor, or wheelbarrow depending on the scope of the project. Using a trowel and leveller, smooth and level out the concrete. Create straight grooves throughout the driveway (see image) using a groover, this will help prevent cracks. You can also use a broom to finish the concrete, this will provide more of a non slip traction, an ideal finish in particularly wet conditions. A broom finish is recommended as it will ensure your driveway is not too slippery when it rain. The concrete needs to set and then be cured either with a dedicated sealant or by watering daily for a few days. The curing of concrete is a critical process, which sees the concrete harden and acquire its strength. Poor curing can lead to weak cement that may degrade and breakdown more quickly. Concrete curing time can vary, but typically takes a few days to set and between 1 to 3.5 weeks to cure fully (to full strength). Don’t rush the curing process! Step 13 - Park your car! Congratulations! A week or so has passed since you started curing your concrete, you can now safely use it as a secure park! What machines do I need to build a driveway? Do I need to remove the footpath to build my driveway? 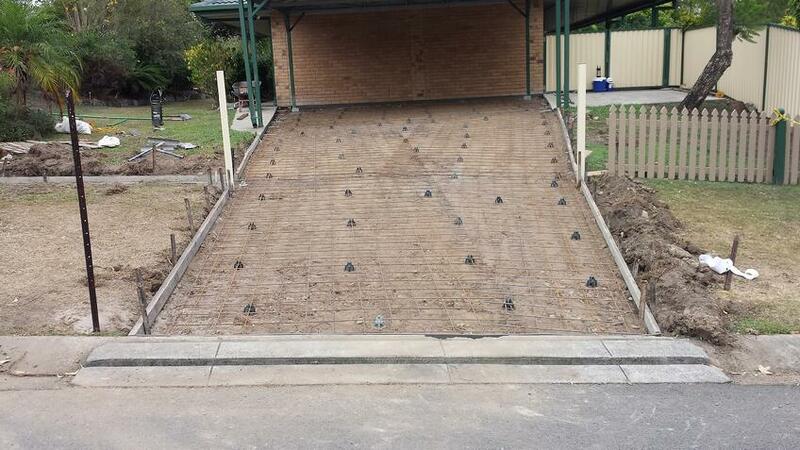 Yes, most councils in Australia will require you to remove the existing concrete footpath before installing your new driveway. 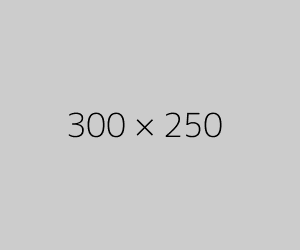 This process is required to build a driveway crossover, which refers to the area of driveway that connects from your property boundary to the edge of the road pavement (the part that covers the footpath). What is a driveway crossover? A driveway crossover is the part of a driveway that connects the edge of the road pavement to the official boundary of a property, essentially the part of driveway that is on council land (over the footpath) between the road and the official boundary of your property. The driveway crossover requires any existing pavement that crosses over the planned driveway to be removed. A full slab driveway crossover is required, by most Councils, between the kerb and property boundary. As you’ll need to meet Council’s standard conditions for your driveway crossover and gain written approval, it’s important to check with your local council for specific rules or conditions, as some councils have stricter or alternate rules or processes in place. In most States, the driveway crossover has to be graded appropriately to protect against storm water overflow from the road. In addition to this, must be designed in a way that prevents storm water from flowing into your neighbour's property too. Furthermore, you are required to put up adequate signage, barrier protection and redirection measures if construction of the crossover obstructs traffic and or pedestrians. How wide does a driveway need to be in Australia? A one car driveway in Australia must be at least 2.5 metres wide, while a two car driveway needs to be at least 5 metres wide. These council requirements refer to the part of the driveway that passes over the footpath and meets the road. Additionally, the maximum width permitted is typically 3 metres for small lots under 450 sq, 5 metres for standard lots with a double garage, and 4 metres for standard lots with a single garage. Nowadays, 3 metres for a single car is considered to be the Australian standard driveway width. What equipment might I need to build a driveway? What costs are involved in driveway construction? 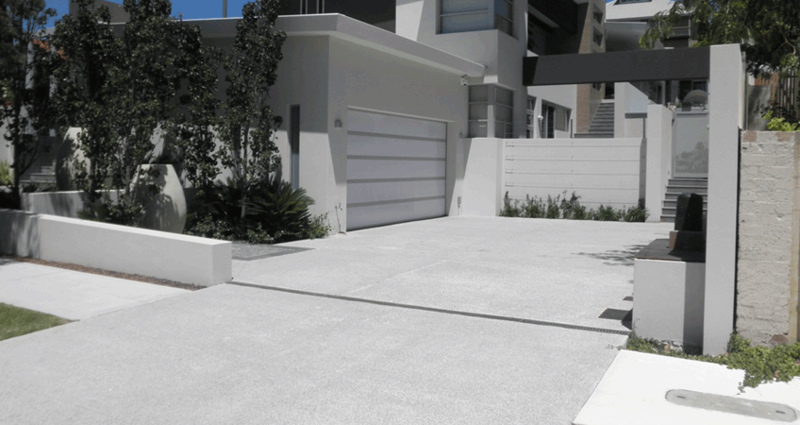 A typical concrete driveway costs between $65 to $150 per square metre, with price variations due to materials and labour. A 1-car concrete driveway typically costs between $1000 to $2000 depending on the area size along with the quality and type of materials used, while a 2-car driveway typically costs around $3000. A quick trip to your local hardware store will allow you to get expert DIY advice and the right tools for the project. Additionally, if you want to outsource parts like the pouring and curing, you can employ a concrete professional through our loaded database of suppliers and services! 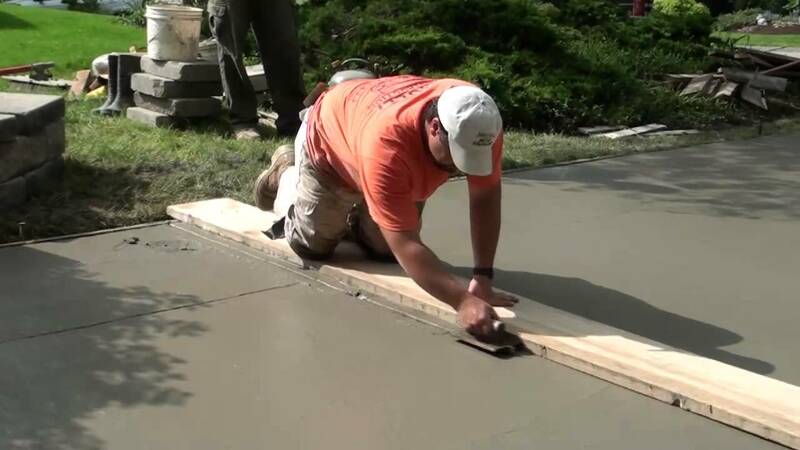 A simple concrete driveway is one of the more popular concrete-involving DIY projects out there. If you’re eager to save some money and gain some fair dinkum experience and exercise then building and pouring your own driveway could be the perfect weekend project for you. If you have experience as a tradie or are a bit of a backyard warrior, a cement driveway is the perfect weekend challenge. There are a few pros and cons to look at when considering whether or not to build the driveway yourself or hire a contractor. In light of this, if you do choose to outsource all or some of your DIY driveway be sure to check out our directory, which is chockablock full of suppliers, machines, and equipment to help you with your newest residential or commercial challenge. 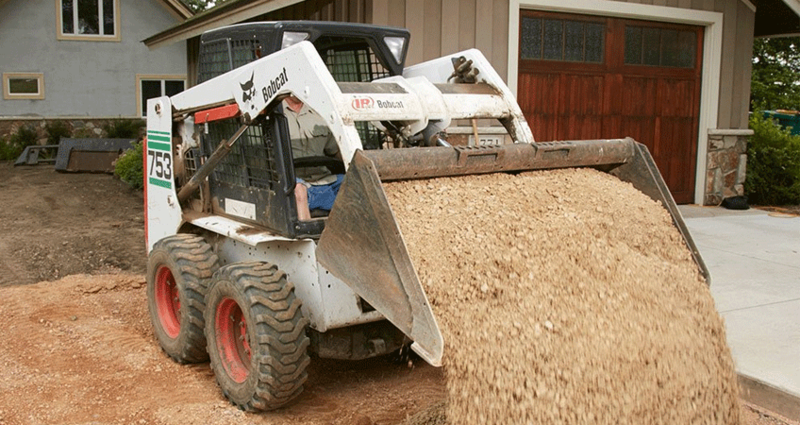 From land clearing and excavation to concrete pouring, iSeekplant has your driveway project covered! Click here to find and compare suppliers that can help with your DIY project! A complete guide to becoming a DBYD Certified Locator!